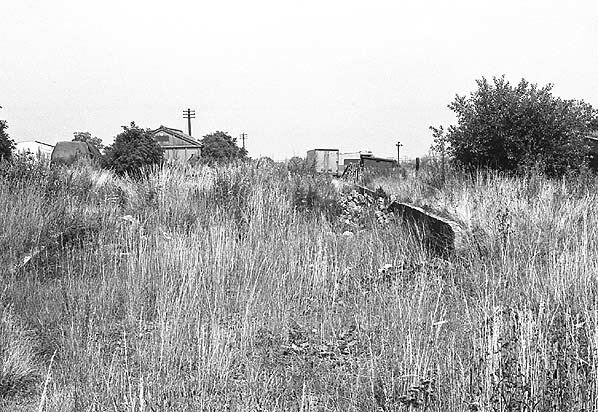 Present state: All that remains of the station is the overgrown goods dock. 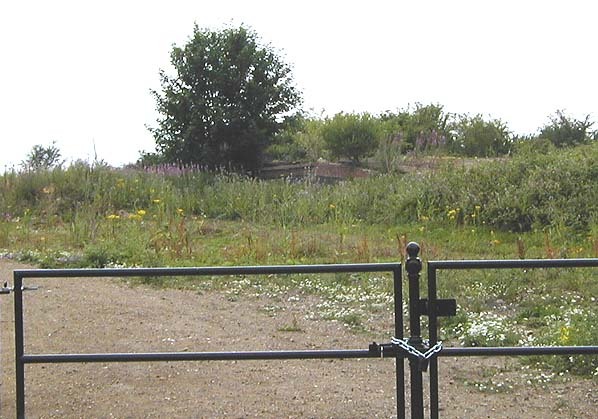 There are also some rails embedded in the road at the site of the level crossing. 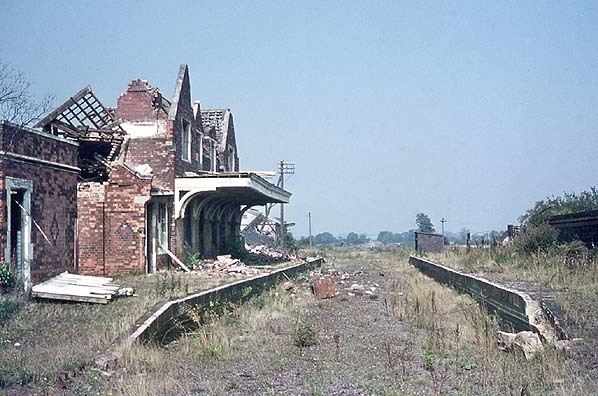 Although the passenger service was withdrawn in 1964 the station remained open from freight until 6.6.1966.
the development of iron ore mining in the area was reactivated having been suspended for 200 years by law due to the lack of wood for charcoal. 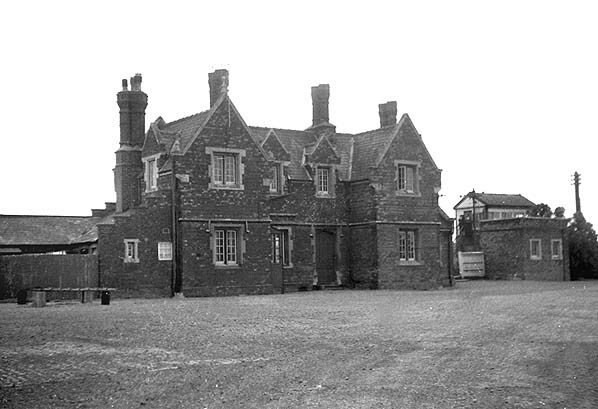 All available wood being required for the Navy. 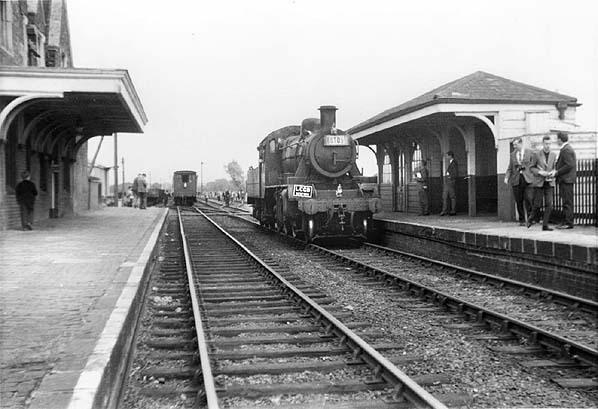 carrying operations and the Nene Valley Railway between Wansford and Orton Mere was officially opened on 1 June 1977. Tickets from Michael Stewart . Bradshaw from Nick Catford. Route map drawn by Alan Young. 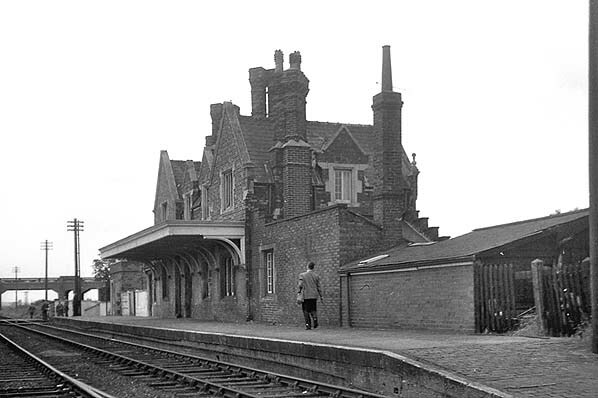 Irthlingborough down platform in July 1965, a year and two months after closure to passenger traffic. 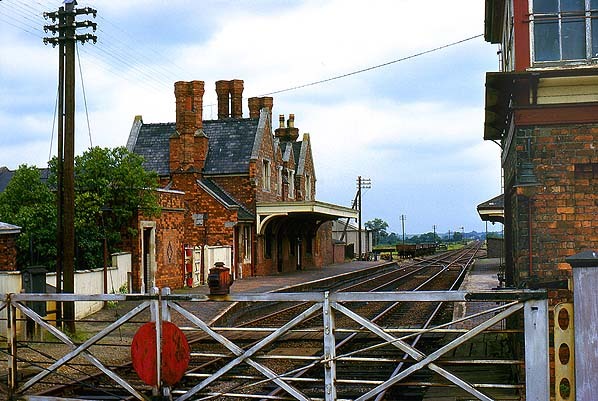 Irthlingborough station forecourt in July 1965.
station on 3 July 1965. 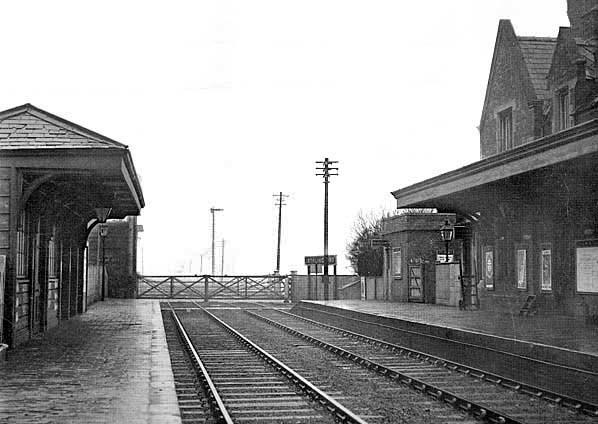 Irthlingborough station looking north-east in July 1965. 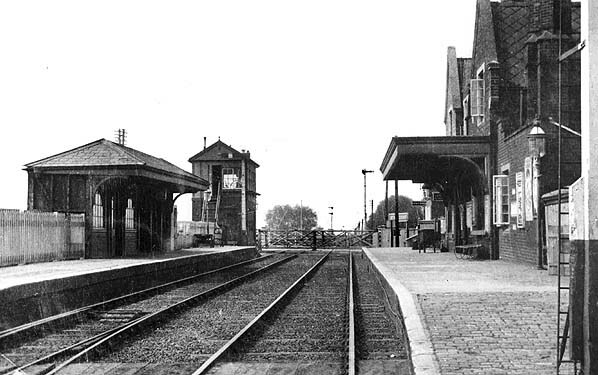 Although the station closed to pasengers the prevuious year, it remained open for goods traffic until 6 June 1966.